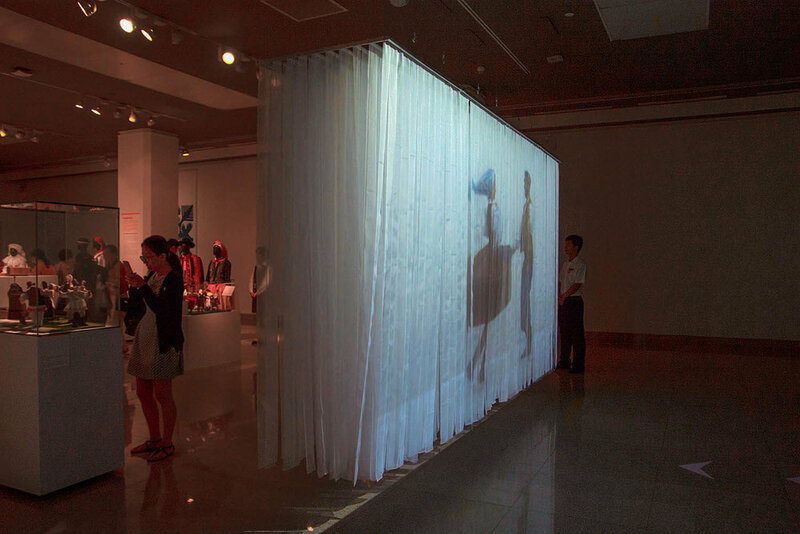 Installation contains displayed footage of folkloric polish dancers on an surface built from 500 transparent tapes. It is designed as an entrance to the exhibition. Visitors can pass through the installation to get to the room showcasing polish folk costumes. Project combines industrial design and video mapping techniques.